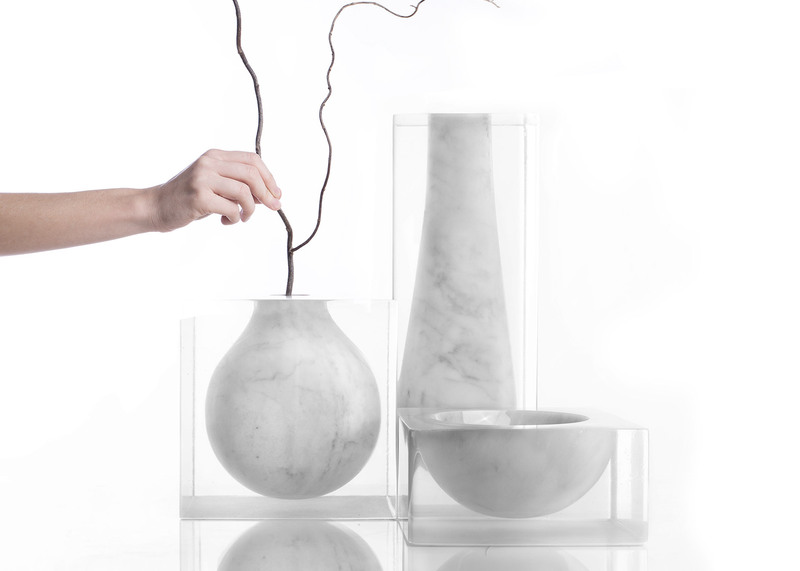 Marble shapes are held inside blocks of transparent resin to create these vases by Italian designer Moreno Ratti (+ slideshow). 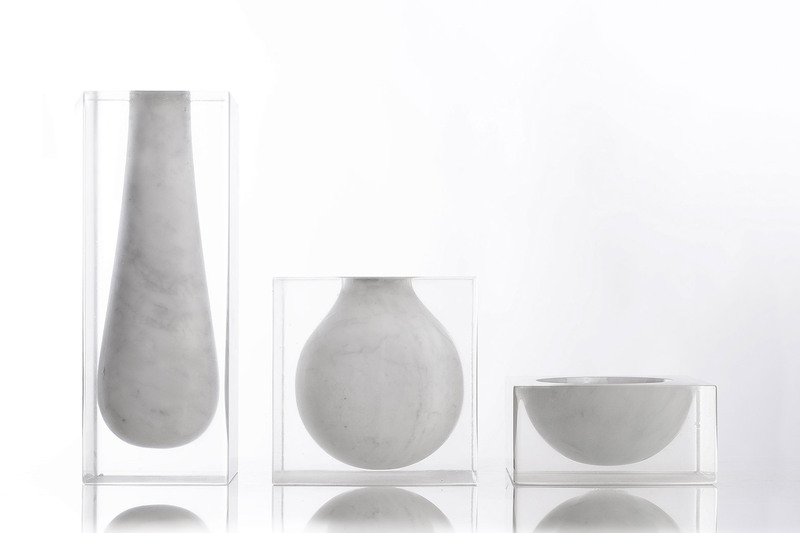 Designed for Tuscan initiative MarmoTrilogy, the Suspended Collection of vessels are created using white Cararra marble – named after the mines where it is quarried. Ratti decided to set volumes of marble nto the resin, which is commonly used to strengthen the material before it is cut into thin two- to three-centimetre slabs. "Usually the blocks are covered with resin to increase the stress resistance imparted by the cutting machine, used to obtain slabs," he said. "The collection designed for the MarmoTrilogy has been inspired by this process, with the intention to emphasise the material and the artisan know-how to obtain unique and non-replicable objects." 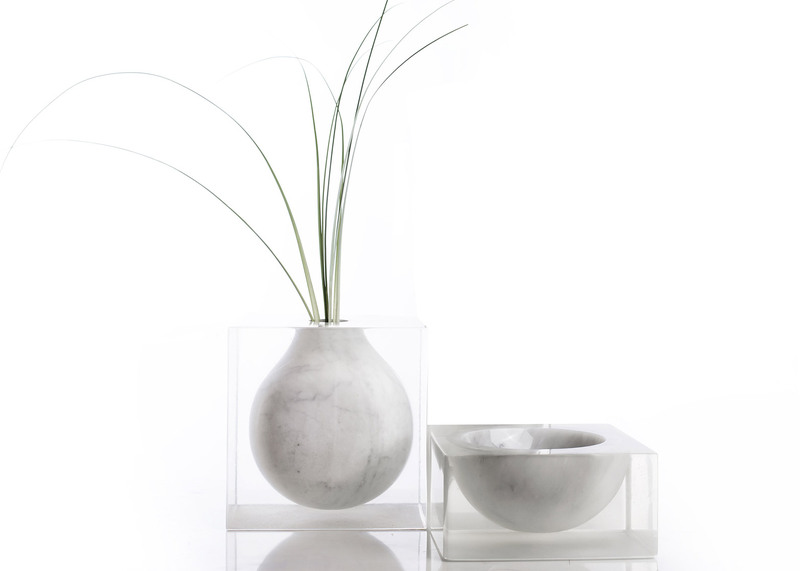 The hollow marble shapes form a bowl, a bulbous vase and a taller rounded vessel. 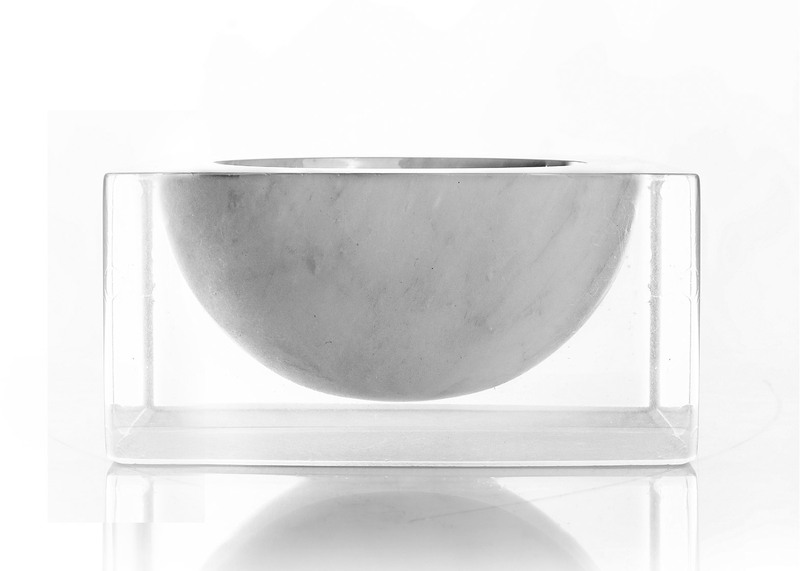 In each case, the curved base of the stone is held above a horizontal surface and the resin provides a flat base, sides and top. 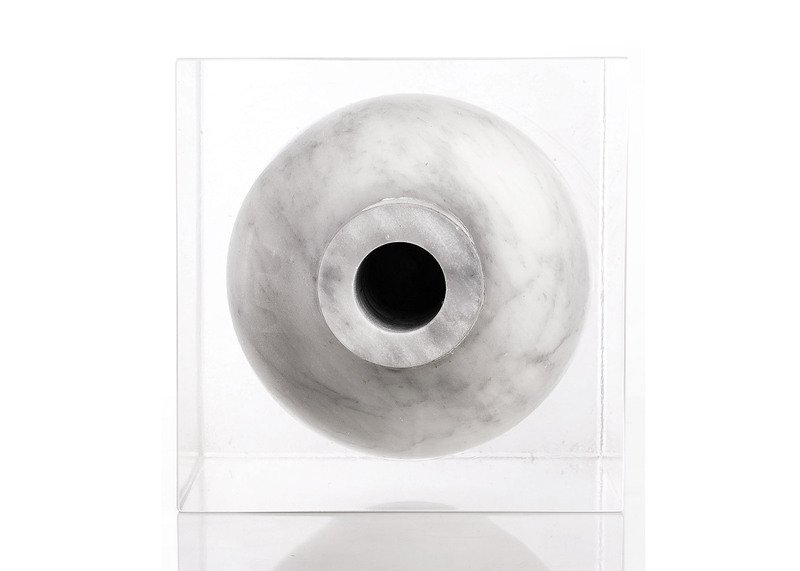 The marble was sourced from offcuts left over after coring – a process used to obtain long tubes of the stone by drilling out its centre. Ratti has frequently worked with waste marble, collaborating with Paolo Ulian to create furniture from discarded marble tiles and a vase that is finished by smashing off its edges with a hammer. His solo work includes a vase stacked from rings of marble offcuts that are piled up like pieces in a mathematical puzzle. 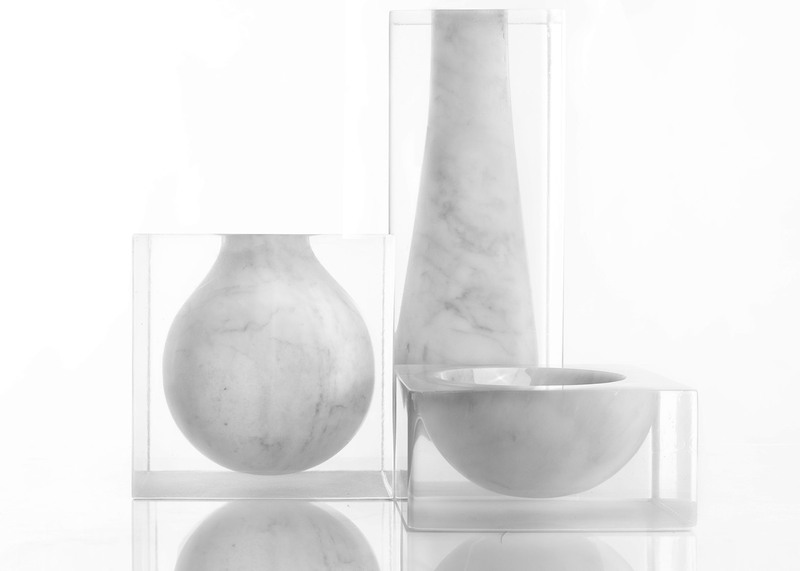 Other designers that have paired marble and glass include Lee Broom, whose products made using the materials range from tableware to lighting.